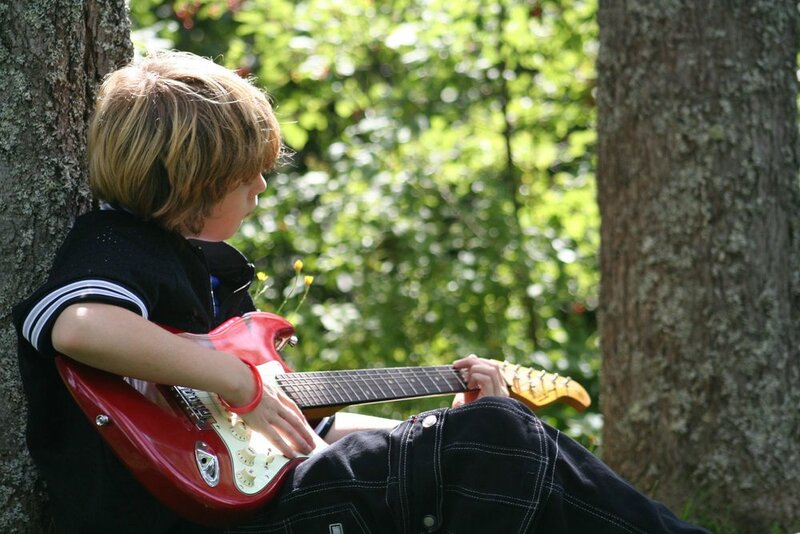 It can be a struggle for any parent – the decision of whether or not their child should continue music lessons over the summer. Often children feel that summer should provide a break from all their school year activities and may protest when the subject comes up. But in their heart, parents know that there are likely advantages to having their child stick with their music lessons throughout the summer months. In fact, this assumption is supported by a few factors that students and their parents should consider. Kids who study music over the summer break have fewer distractions and may even be able to practice on family vacations! The reality is that aside from family vacations and swimming lessons, summers are far less busy for most young people. This means that there is more time to really focus on something that’s challenging and make the kind of strides that may be difficult when trying to squeeze these lessons into the busy school year. The students who keep studying music over the summer break do so with fewer pressures and distractions. It’s not unusual for students studying music to reach a plateau or a certain lesson that they just can’t quite master. More focus and fewer distractions will allow students to achieve the breakthrough they may be needing in their music education. Enjoy a more relaxed time of the year to move forward and reach a new level! Keep up developing the musical skills students worked so hard to build over the course of the year. Take a moment to think about the music you or your child were playing last fall and the music you can play now, and realize what you have achieved. Without teacher guidance or practice, like everything else, your musical skills will backslide! In fact, both music lessons and athletics offer many of the same benefits to those who are willing to train. Like sports, continued progress in the music field is achieved by those willing to put in the time and effort - and those who put in more time and effort will reap more rewards. When debating whether or not children should continue music lessons over the summer, consider that it will put them one step ahead (if not two or three steps ahead), and provide them with a competitive edge. Whether your child is thinking about scholarships or auditions for prestigious conservatories – the competition is steep. These opportunities are more likely to be awarded to those who chose to keep practicing music year round. Most of all, playing music improves literacy and quantitative reasoning, and helps preventing these skills from backsliding during summer. Practicing music fill in the challenge gap that children miss when school is over. It keeps children engaged in a fun way, giving them goals to achieve. Summer is also a great time to experiment something new, no strings attached. If your child wants to start learning an instrument or has interest in learning an additional one, summer is the best time to “give it a try”! Lessons time slots are more flexible; it’s the perfect time to try something new without commitments. Students who continue music lessons on their summer break will continue to build on the progress they have made throughout the year. Educators and policy makers continue to debate what is best for school age children in the face of research noting how much learning loss affects students’ ability to progress, particularly lower income students. Regardless of the situation, we all recognize that continuing with regular music lessons and practice make it far less difficult to try & “get back into it” after an extended break. Music lessons provide the right mix of fun and challenges to prevent summer slacking and keep your child's mind active during the summer. Whatever activities your child will undertake during the summer, practicing an instrument is the perfect complement to your child’s expectations of having a great and exciting summer. Enjoying music classes over the summer provides your child entertaining goals to work toward, builds self-confidence and initiative, and develops a positive attitude when school resumes. We do hope that all Stage Music Center students will plan to continue their music lessons over the summer. We offer group and private music lessons throughout the summer and would love to work with any student in the greater Boston area who has a love of music. Please contact our music school at (781) 570-2556 with any questions for music lessons over the summer at Winchester Stage Music Center or at home.